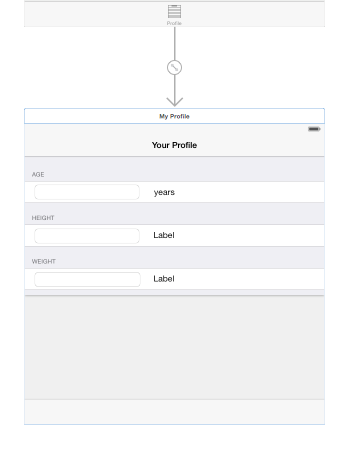 HealthKit is a framework that allows you to store health data to a persistent store on the users device. We will begin with an app from Part 1 but we will take some detours that are important to understand so bare with me. self.healthStore = HKHealthStore() //needs to be var for it to work? This requests permission from the user’s health store (on their device) in order to read and write personal data. The user will be prompted to authorize whatever data he or she feels comfortable with. Now our app has access to our health store. So recapping what we’ve done in this intro part, we basically requested permission from the health store, specified the data types to read and write and finally propagated our fully authorized health store to our child view controllers. 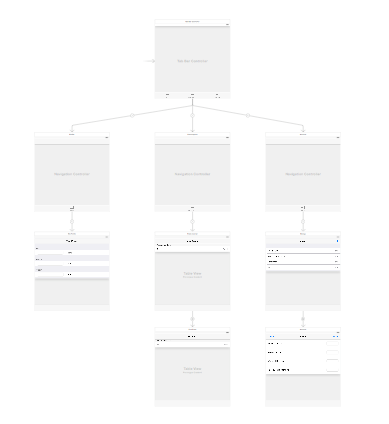 Here we start out with a tab bar controller with 3 UITableViewControllers as children. 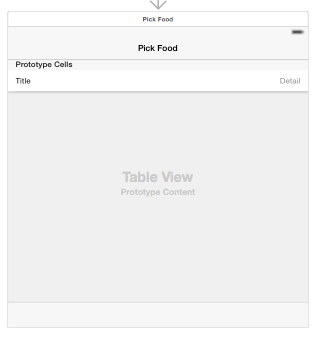 The best way to do this is to drag UITableViewControllers from the Object Library in case you removed the original First and Second placeholder view controllers supplied by the template. 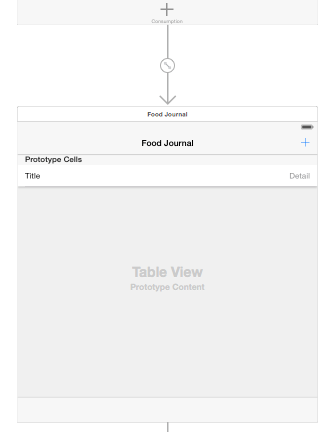 But you could also just drag a tableview and a cell into each of those 2 supplied view controllers and drag an additional one into the storyboard, its up to you. Then select each of the 3, one by one, and in Editor -> Embed in Navigation Controller. As you can see, these are not prototype-dynamic cells but rather custom static cells. In this case we have given the UINavBar a title and we have divided up the tableview into 3 sections: one for the users age, another for the users height and the last one for the users weight. You can do this by setting the Sections property of the tableview in the Attributes Inspector, setting the style to Grouped and giving each section a name. Ok so this one also has dynamic cells, this is the tableview that will actually be filled with the hardcoded items. Once the user selects an item, it will be passed back to the Journal view controller. This is the FoodPicker view controller. Notice something important here, we are capturing workout specific data such as laps, time, meters and pace. This is not health data per se. And that is precisely what HealthStore was NOT made for. Its important to make this distinction because if you open your Health app you will not find laps, meters, km biked, tennis sets played. 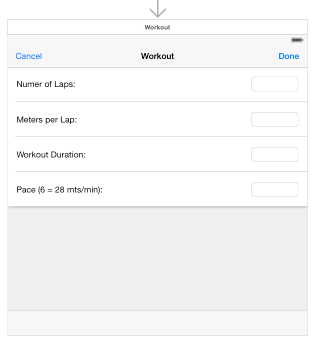 That is workout-specific data and the only specific data Health app records, is Steps, because its something the iPhone can record by itself. The Health app and the health store was conceived to record health data and it can’t very well cover all sport-specific needs. However all that workout-specific data, laps swam, km biked or sets played, translates, somehow, into calories burned. Now THAT is a point of convergence for all workouts and that is the kind of thing stored by the health store. Take a look at your Health app and you will see a Health Data icon which lets you see the kinds of data the app stores. So why is this important, well, as you will see, we will be storing energy in and energy out. But we are still capturing laps and meters and time from the user and of course that IS important to the user. He or she will still want to see their progress in terms of laps and time. So we will need to incorporate CoreData in the end, in order to store that kind of data. 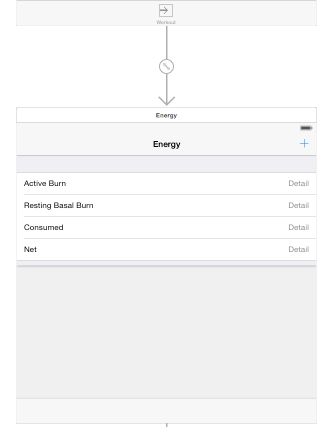 Ok in the next part (Part 2) we will look at the core of health data in iOS, HKObjects and how to use them!